Central England has some excellent golf courses of championship standard. The Belfry at Sutton Coldfield near Birmingham was the venue for many famous Ryder Cup Battles. 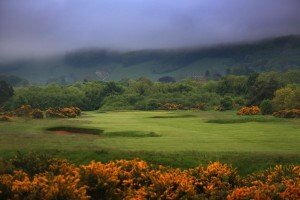 Ganton and Fulford in the Yorkshire area are 2 of the best courses in the UK. The Forest of Arden is a PGA Chmpionship venue and the courses at Woodhall Spa, Moortown and Little Aston are some of the gems not regularly visited by International golfers, but in our opinion are well worth the visit. One of England’s premier golfing venues and held in high regard by all people connected with the English game. 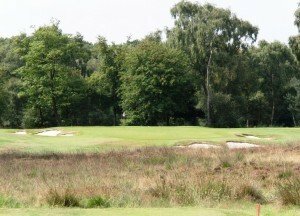 Alwoodley’s course runs almost straight out and back, the inward nine being tougher as most of the holes are played into the fresh winds off the Yorkshire Moors. The north of the course is bordered by Wigton Moor Whin, which is particularly magnificent in autumn when the leaves are turning and rich in colour. The course is highly regarded, ranking in the Top 100 of the World and in the Top 50 Championship Courses in the UK and Ireland. Forming part of the famous stretch of golfing territory on the northern fringe of Leeds in Yorkshire, Alwoodley has the distinct honour of being the first course to be designed by the famous golf architect, Dr Alister MacKenzie, whose other masterpieces included Augusta National, Cypress Point and Royal Melbourne. The home of the English Golf Union and a wonderful location for one of the top venues in the UK. The Hotchkin Course is consistently rated in the UK top 100. Woodhall Spa is situated in the rich Lincolnshire agricultural belt to the east of Lincoln. The course has sandy fairways which are lined by heather and birch trees. 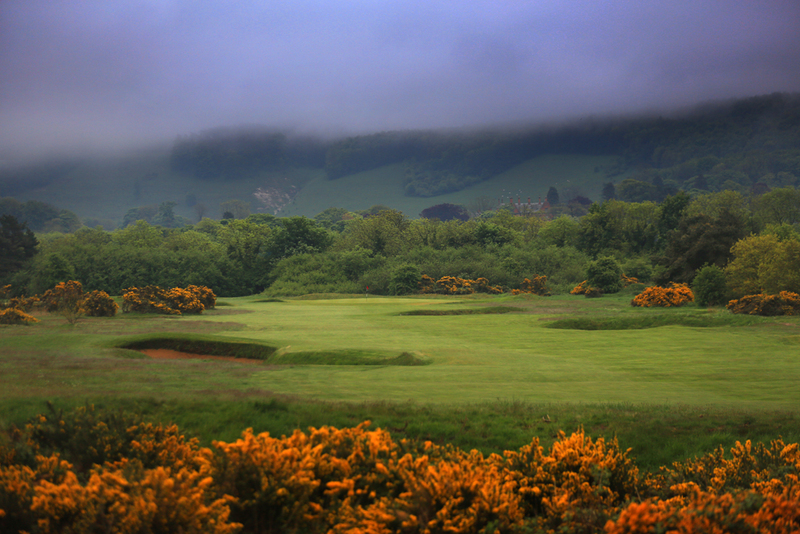 The Hotchkin is one of England’s best inland courses. One of the legends of the golf world, The De Vere Belfry is unique in its offer of the ultimate golfing experience. 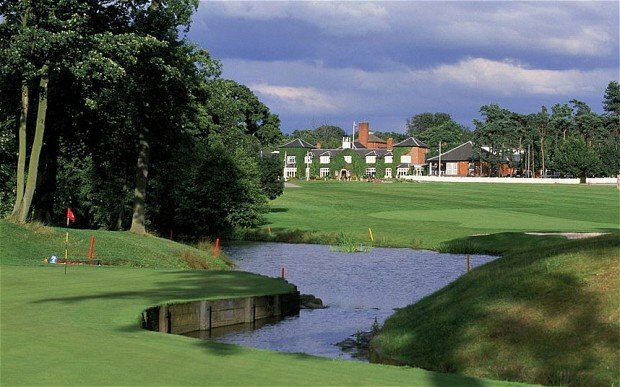 Home to the famous Brabazon Course which has witnessed the action of four Ryder Cup Matches. A wander through the hotel will evoke memories of past matches – as you pass The European and American Team Rooms. 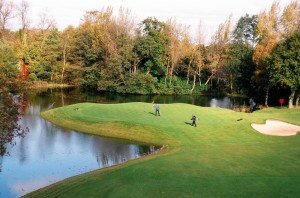 The Hotel also boasts an additional two courses – The Derby, suitable for every standard of golfer, and the more challenging PGA National, which is the only PGA National branded course in Europe. Moortown is a classic moorland course. The fairways seem to be wide and inviting but the course is still tough with birch trees, gorse and heather waiting to gather your golf balls. The course hosted the Ryder Cup in 1929, the first time the cup was held on home soil. The course has also hosted many professional tournaments as well as the English Amateur Championship. The course is almost 6,500 yards but accuracy is required and more beneficial than length on this course. 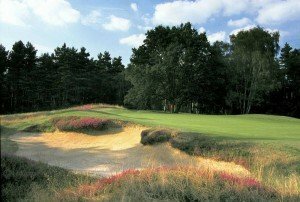 Little Aston is one of England’s best loved inland courses and for many years has enjoyed an enviable pedigree in the Top 100 courses in Great Britain and Ireland as surveyed by Golf World, being ranked 55th in 2008. The Club, which has celebrated its Centenary in 2008, is one of the pre-eminent golfing establishments in the Midlands where Members and Vistors are able to enjoy an experience that few, if any, of the Midland’s other golf clubs can match. Golfers will find a top quality Championship Course which has hosted many prestigious national and international tournaments for both Amateur and Professional players. The course is renowned for the quality of its fairways and greens and, when their round is over, golfers can relax over a drink or meal in a Clubhouse steeped in history and tradition. Little Aston is predominantly a Parkland course set in the mature former estate of Little Aston Hall and has a beauty all of its own. Golf was first played at Ganton in the summer of 1891 on a course laid out by Tom Chisholm of St Andrews who had assistance from Robert Bird, the Club’s first professional and head greenkeeper. The site chosen then formed part of Sir Charles Legard’s Ganton Estate and was very rough ground, covered with whins and many varieties of grasses and wild flowers. Fulford Golf Club lies around one mile from historic York and is a club steeped in history. Opened in 1906, the club has played host over the years to many important amateur and professional tournaments. Major winners such as Seve Ballesteros, Nick Faldo, Sandy Lyle and Ian Woosnam have graced the fairways of Fulford, when the club hosted 20 consecutive European Tour Events including the Benson & Hedges, Sun Alliance, and the Murphy’s Cup tournaments as well as hosting the first British Ladies Open Championship in 1973. 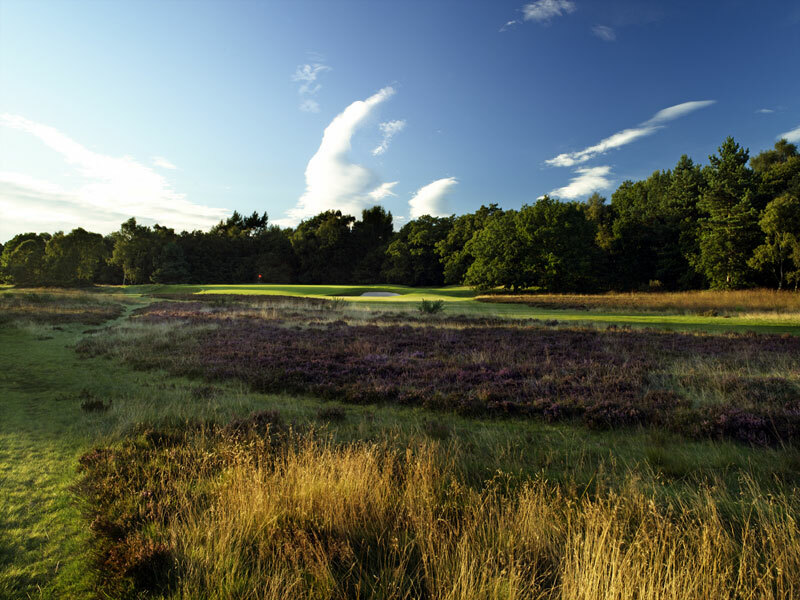 Built predominantly on sandy heathland, Fulford features superb turf and provides a true test of championship golf. Fulford remains one of the leading championship venues in Britain and is a must play for the serious golfer, and a warm and hospitable welcome is assured in the club house and on the course. 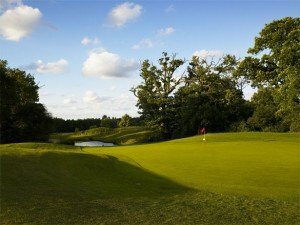 The Forest of Arden is one of the finest golf destinations in the UK, with a range of facilities to impress every golfer, including two great courses. 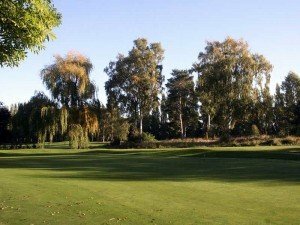 Arden – The Arden course is one of the country’s most spectacular challenges and host to a succession of international tournaments, including the 1997-1999 One-2-One British Masters, 2000-2002 English Open and the 2003 British Masters. It also has one of the European Tour’s most distinct signature holes in its 18th; a Par 3, 202-yard hole overlooking the fishing lakes and resort. 18 holes. Par 72. 7,213 yds. Parkland. Aylesford – Golfers of all abilities will find the shorter Aylesford course a varied and enjoyable challenge. Kept to the same high standard as its celebrity sister, both courses offer a good chance that the friendly local deer will wander on to the course in this majestic Parkland setting. 18 holes. Par 69. 6,525 yds. A state of the art golf academy was opened in 2001 enabling the team of PGA Professionals to be on hand for advanced tuition.